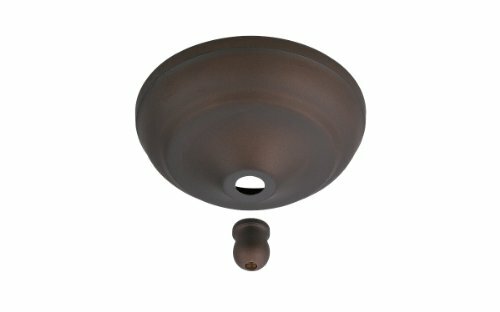 FN100WW Finish: Appliance White Pictured in oil rubbed bronze Features: -Universal finial - set of 3.-For use with GL106 and GL107 series bowls. Options: -Available in several finishes. Collection: -Build A Light Fixture Collection. Accessorize your Hunter Architect series fan and personalize your room with a Builder light fixture. 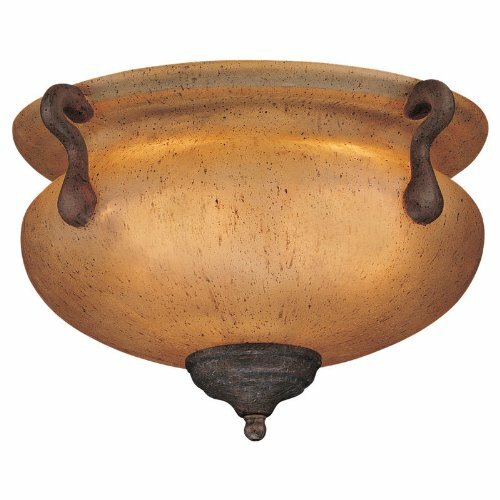 The perfect finishing solution for any room where you have mounted an Architect fan and have no overhead lighting, the amber glass Builder Bowl adds depth and luminosity to your decor. An understated finish is accented by included designer finials in New Bronze or Antique Brass. Easily mounts to your Architect Series fan. Uses two 60 Watt incandescent bulbs (not included). Fits Architect Series 26417, 26416, 26418, 26419. Not for use with other Hunter fans or other fan brands. 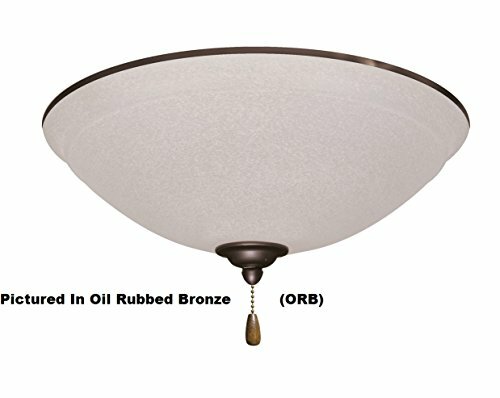 7-1100-088 Finish: Corsican Gold Features: -Ceiling fan bowl kit end cap. Options: -Available in several finishes. 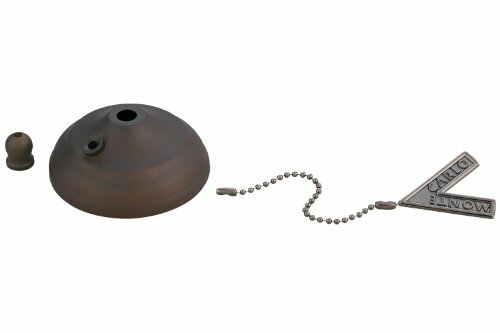 Dimensions: -Overall dimensions: 1.75'' H x 1.75'' W.
Repair or replace your pull-chain assembly easily with the Monte Carlo Ceiling Fan Pull Chain Bowl Cap Kit. 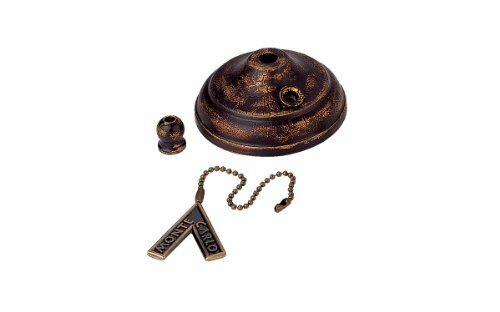 This set includes a bowl cap and a pull-chain, essential pieces whether you're installing or just fixing your Monte Carlo brand ceiling fan. The cap is made from solid steel and comes in several color options to accurately match your fan (colors subject to availability). A replacement chain and pull-fob are also included. Crafted from steel. Your choice of available finish options. Covers pull-chain assembly. Pull-chain included. For Monte Carlo brand fans. 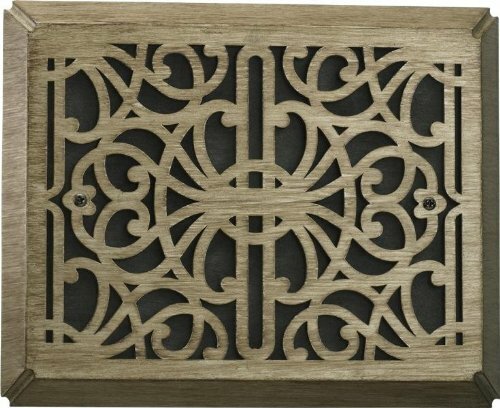 Your remote control ceiling fan unit doesn't need to stand out as different. 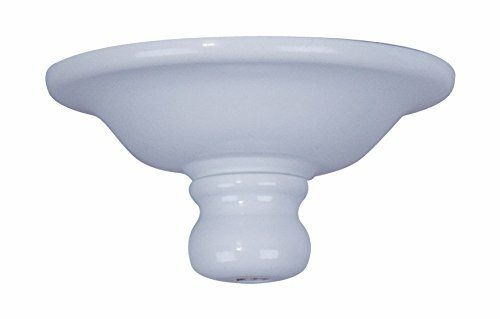 The Monte Carlo Ceiling Fan Remote Control Bowl Cap lets you conceal the remote control receiver assembly and make it look like any other unit. The cap is made from tough, durable steel and comes in a variety of finish options; select from available. Conceals remote control assembly. Sturdy thick steel construction. Select from available colors. Provides a seamless look. For Monte Carlo ceiling fans units. 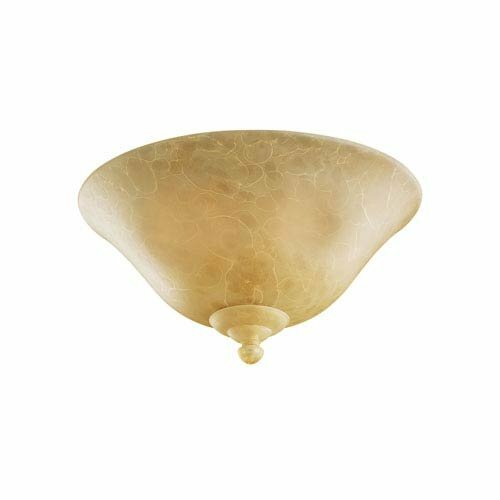 MC165 Features: -Available in teastained glass.-Can attach to a ceiling fan as a light kit or attach directly to the ceiling as a semi flush mount. Includes: -Includes aged fresco, roman bronze, or tuscan bronze finish bowl caps. Specifications: -Accommodates three 60W candelabra base bulbs. 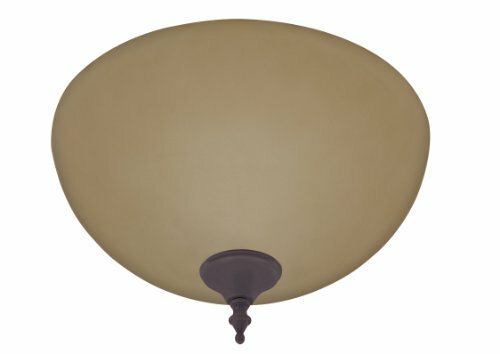 Dimensions: -Height when attached to ceiling fan: 8.63'' H.-Overall dimensions: 6.25'' H x 12.63'' W.